Ernest H Hill Ltd Longacre Way, Holbrook, Sheffield, S20 3FS, United Kingdom. 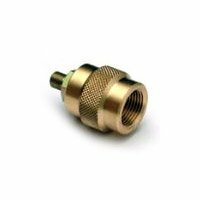 Adaptor for direct connection to Walther or Diana Airgun Cylinders. Direct connection to the end of the hose without bonded washers.